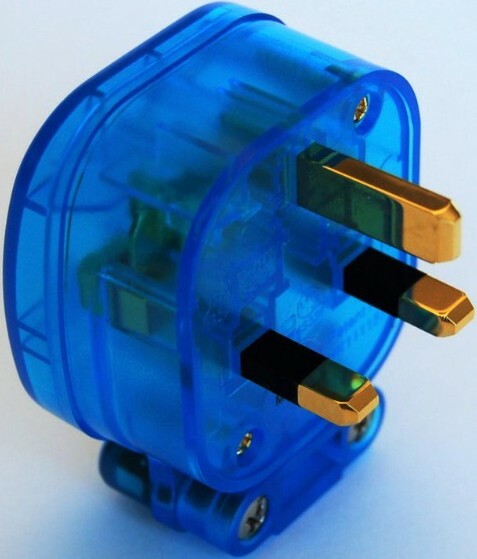 MS HD Power MS-328GK The Blue Gold 13A UK Mains Plug, features electrical parts (plug pins, fuse and all other internal conductive parts) made from premium quality copper and electroplated with 24K Gold plating. The Fuse Clips are made of high spring rate Phosphor Bronze, again with 24K Gold plating and supplied with a 13A silver plated fuse, fitted. All these conductive parts including the fuse undergo a deep cryogenic treatment in the UK specifically designed for audio components. This cold annealing process is designed to increase the material conductivity. Every plug is supplied with a certificate stating that components have been cryogenically treated in the UK. 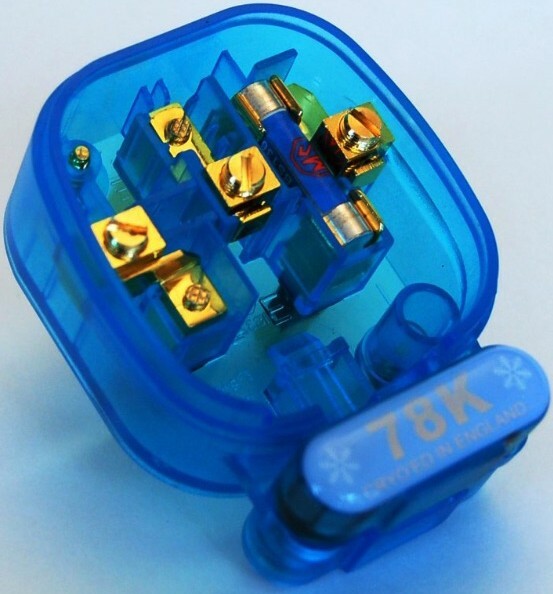 The heavy duty mains wire-clamps design ensure an air tight connection and protect the power cable wires from damage over time (other plugs secure the cables by the grub screws twisting down onto the cable directly). 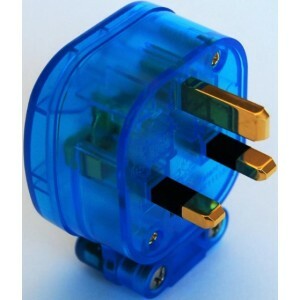 The plug will accept wires up to 4mm diameter and clamp a cable of up to 16mm overall diameter. The plug casing is manufactured from blue colour semi-transparent nylon material, offering durability, high insulation and light weight.